It’s not easy to top the strange decision of making a live-action Mega Man movie, but the decision to hire the directors of Catfish has got to come close. The 2010 documentary was all about one of the film’s directors’ brothers, Nev, falling for someone online only to discover they’re an imposter. 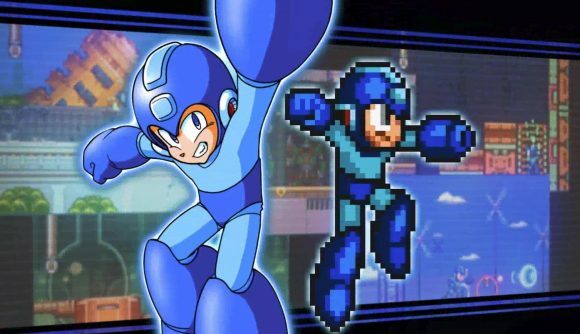 Capcom announced the adaptation in celebration of Mega Man’s 30th anniversary, explaining that they want the film to, “appeal to a diverse audience, including not only game players but action movie fans as well.” How they manage to make an intense action film about a man in a bright blue costume will be…interesting. Directors Henry Joost and Ariel Schulman have signed on to direct the Mega Man film and Capcom’s official website says that they will be working alongside Masi Oka who produced the Hollywood Death Note adaptation and starred in Heroes. Mega Man is one of Capcom’s most recognisable characters and has been in many cartoons and comics almost as far back as his videogame debut on the NES back in 1987, but this will be his first jump to the big screen. The last Capcom film adaptation was Resident Evil: The Final Chapter which released in 2017 and has an unfortunate rating of 49 on metacritic. Let’s hope our favorite blue platforming friend won’t have the same fate.